Happy Thursday! This week our spotlight weekly theme is pastels! Pastels have always been a favorite of mine. I just love pastel pink! One of my favorite colors! 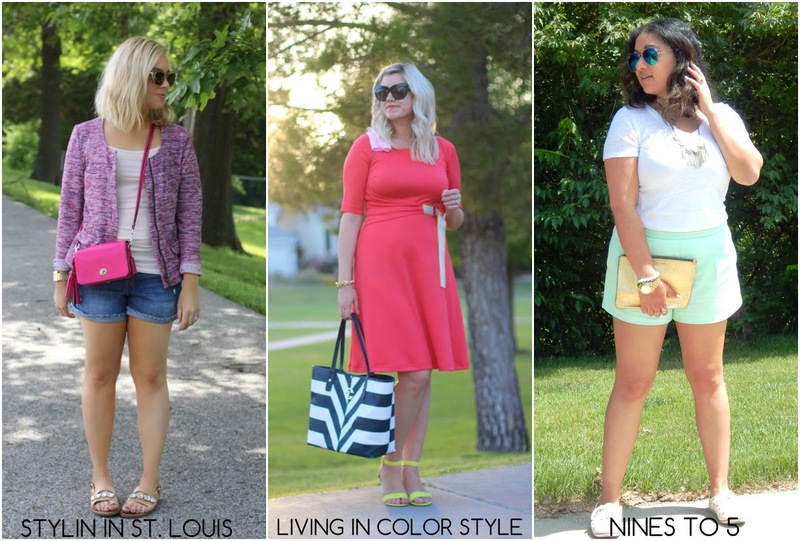 Come share your pastel looks with Elle and I! 1. 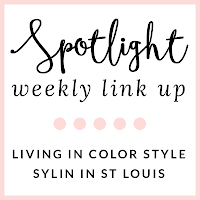 We kindly ask that you follow the two hosts: Elle from Living in Color Style, Jacqueline from Stylin' In St. Louis, and our co-host Preeti of Nines to 5 via Bloglovin or GFC. Spotlight: Our spotlight this week is Tilden of To Be Bright! We love Tilden's crisp white tank with her adorable shorts! Such a great summery look! Be sure to check out her cute blog! Love your jacket! so stylish and chic! thank you for the beautiful link up! this is so cute, I love your jacket. Super cute jacket and I love your pink purse! I love your jacket and your pink bag! Such a chic look! That jacket must be perfect, especially on cool mornings! Looks great with that beautiful pink tassel purse! Loving that jacket + super cute bag, doll! Love how you paired the dressier jacket with your cutoff jeans and the bag is adorable. Thank you for hosting! What a cute jacket! I love how you paired it with the shorts for spring. That pink bag is too good. Totally obsessed with that jacket! So cute! Great look! I love the jacket! 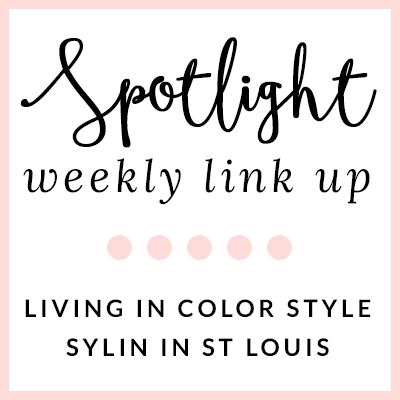 Thanks for hosting the linkup! A cropped jacket with shorts will always be a win in my book!! This whole outfit is fabulous! I love it all. That jacket is adorable. What a great color jacket on you. I love how dressed up it makes the shorts & tee. Ahhh I am obsessed with your hair! Great jacket too! Such a cute look Jacqueline! I love that you have those sandals on repeat, they are the CUTEST! Loving that pretty jacket! Did you cut your hair? It looks so adorable! I love this look! So colorful and the Coach bag is amazing!! Love your outfit!! Gorgeous XO! That jacket is too cute! Love it! I love that jacket!! Such a great piece for those breezy days! You look fabulous! That jacket is so fun and I am loving those sandals! I love the tweed jacket over shorts, very polished look! I'm loving everything about this spring look! Your jacket and shorts look perfect paired together! I'm lovin pastel colors every summer. Love these pieces, especially the jacket! Pastel colors are definitely lovely and so pretty! Love the jacket featured, it's beautiful! Just when I stop thinking that I need a pink purse, I see this post! ;-) Your whole outfit is darling! Nice choice with this lovely jacket. It's a relaxed outfit with those shorts on.